You cannot judge a book by it’s cover and that was certainly the case yesterday when I was sent along to take a look at the Alternative Model 2017 auditions in G-town. I had no idea what lay in store for me at Alternative Model 2017 so it was with an open mind I proceeded to the registration area and was welcomed by a rather odd looking fellow, I suppose I could only describe him as a Marilyn Manson styled character. Of course, who am I to judge? The venue for the Alternative Model 2017 audition was The Royal Conservatoire of Scotland in Glasgow. I could hear classical music from various practice rooms resounding throughout the building and thinking to myself… what a contrast. The Alternative Model 2017/ Alternative Model Of The Year is an annual contest for aspiring Alternative Models and brings together the Alternative community from across the UK. A colourful collection of quirky folks. I must admit, the make-up, hair and attire were not quite my cup of tea but what did hit me was that all the contestants were there to have fun, and fun is exactly what they had with no prejudice. 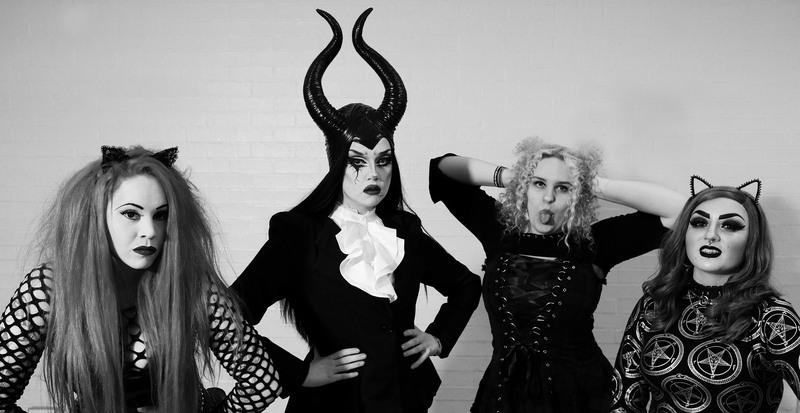 They came in all shapes and sizes, goth like and as characters from films and cartoons. I have no idea how you would start to choose a winner from such a talented and diversely unique and quirky collection of individuals. Thank you to the organizers for inviting me along and to the contestants for simply being yourselves and taking part. A few of the quirky characters from Saturday’s Alternative Model 2017.